Have money invested in your business that is carried as a loan on your books? Want to shield your business assets from creditor claims? Combinations of Pledges, Guarantees, Security Agreements, Proxies and UCC filings can provide just the protection you need. The same protections a third party lender receives, like a bank, can be yours with no downside and the same benefits. Maintain leverage in settling claim, like those which you might lose but not be exposed to collection on. Use this to protect against uninsured portions of claims, like a contractor for replacing defective work or for other claims you cannot beat, at least not economically. Use it to prevent taking the hit for improper work by a subcontractor who lacks full insurance coverage. You can always agree to make your defenses secondary to a particular lender, subcontractor, or vendor you need. Our Philadelphia business attorney is prepared to fight for you and your rights. 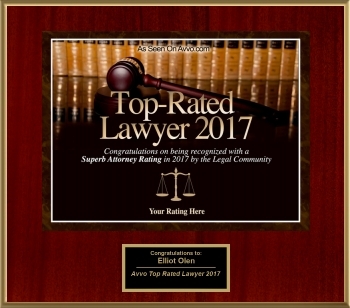 Contact Olen Law Firm today to determine your options and take the next step to help you and your case.